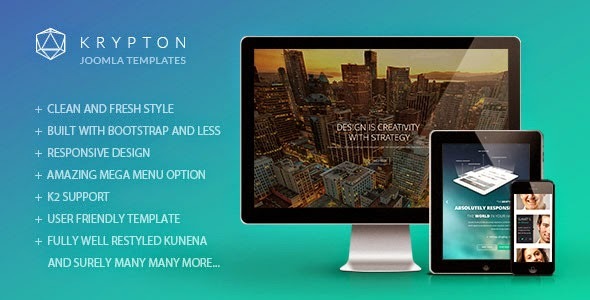 Krypton is a fully responsive Joomla Template suitable for any kind of creative or business use. Krypton is powered with T3 Framework based on Bootstrap 3. With a minimal yet modern look and a creative approach, Krypton will looks nice in any resolution and on any device. Item Reviewed: Krypton Responsive Joomla Template 9 out of 10 based on 10 ratings. 9 user reviews.